Writing Prompts: Health Activist Soapbox. I really thought I was going to write about my three things today, and maybe I will as a post script. As late as yesterday, I thought I had nothing (or not much) to get on a soapbox about, but now I realize I do. Last week, I was struggling with a bout of (pre-)shingles. I felt as if my bra strap was filled with burning thumb tacks. It was hugely uncomfortable, especially when I was driving. Which I do a lot. Any little bump in the road sent an electric shot of hot pain through the right side of my upper back. It was killer, and I was terrifying and depressed that it was only going to get worse. My back was going to break out into oozing pustules of painful, itchy yuck. I had heard vaguely of shingles before, but I thought that they were something only suffered by Old People. I didn’t get the vaccine. But a couple of weeks ago, I started feeling this… weird discomfort. It was limited to a very specific part of my body, as we learned in PT school, a determatomal patch. When I went to my trainer I mentioned this pain. I said, it’s not a muscle kind of pain. It’s my skin—or rather, UNDER my skin. This is exactly what shingles is. It’s a dormant chicken pox virus that hangs out, sneakily, for decades, and then sometimes fifty or sixty years after the first outbreak, it wakes up! And attacks with a renewed and very painful life. Childhood chicken box tends to be itchy, but adult chicken pox hurts like hell. This went on for about a week and steadily got worse. But nothing to be seen on the surface at all. After a week I went to see my doctor. She said it sure sounded like shingles. And that the only way of knowing was to take antiviral medication. If it got better, then it was probably shingles. And if it got worse, then we would have ruled shingles out and we could go on to figuring out other things. For the first two days on the antiviral meds, the shingles pain seemed to get worse. I was getting depressed and frantic. But then it stayed the same. And then, slowly, it began getting better. And better. And now it feels pretty much normal. I never got the rash. I WAS SPARED! 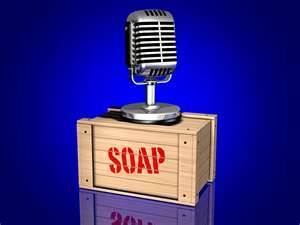 So what is my soapbox about today? It’s about… dealing with stuff EARLY. This happened with my diabetes when it was still in the Pre- stage. And I swear that this is one of the reasons it is still in good control. My endocrinologist echoes this. She says that if you catch diabetes before it has gotten to a severe state, then it will progress at a much slower rate than otherwise. This just happened again with the Pre-Shingles. I can’t tell you how many times people say, “I’ll just wait and see what happens.” Ie., I will see how bad it can REALLY get. Before getting it checked out. But the problem with that, is that if you wait until something gets REALLY BAD, then the damage is already done. You’re already going to be badly messed up. I really feel like I dodged a huge, nasty, terrible bullet with this one. I’m staying with my aunt and uncle in laws this week. Their sister-in-law had shingles. It was horrible and painful and spread to her eye and blinded her. Seriously. BLIND in one eye. I am so very grateful I caught mine in time. The second thing I am on my soapbox about it, take your medicine. Medicine is not inherently evil. A lot of people I know are all, “I don’t like to take medicine.” Who does? Sometimes medicine has terrible side effects. I myself admit that I did not take the Lyrica samples that my doctor gave me for nerve pain. Partly because I was holding out for it to get REALLY BAD (which it thankfully never did) and partly because I read that a side effect is: weight gain. Hahaha. Which I knew I did not want. So sometimes we have to choose. 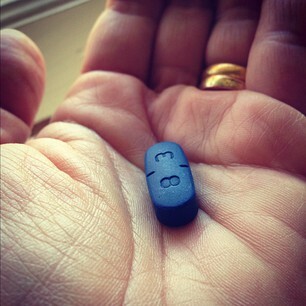 In this case, though, I am very very grateful that I took this ginormous blue horse pill three times a day. I feel like it spared me an awful situation. I’m taking them until the bottle is empty. Get it checked out in the very early stages, whatever it is. I’m thankful for my doctor and my medicine. I’m excited to be re-joining Team in Training, this time with the Run Team (my first time ever!) starting next weekend. I will be training to do the Oakland Half Marathon with my team in March, but also for the Tinkerbell Half Marathon in January. 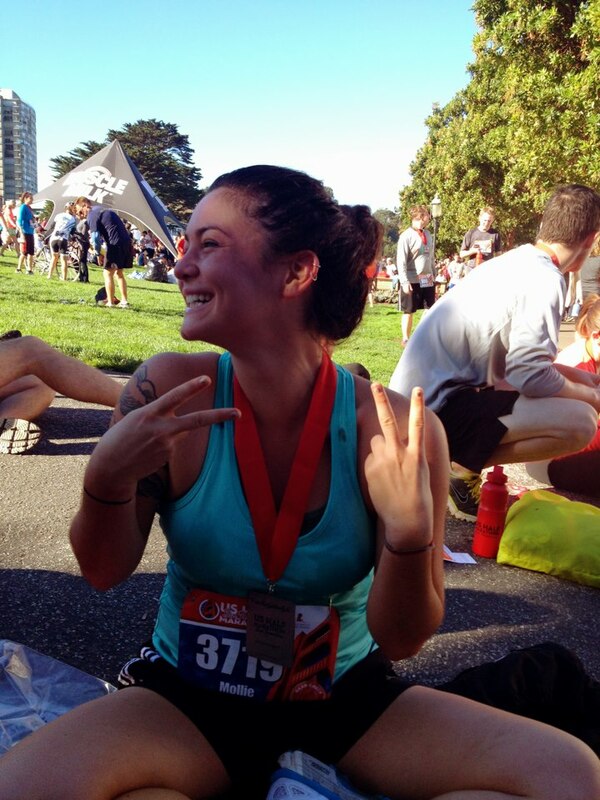 I’m inspired by Juniorette, my daughter, who just ran a sub-2 hour half marathon at the US Half Marathon in San Francisco yesterday. I’m so proud of her! She is a rock star. We’re going to be doing the Tinkerbell Half together and all I can say is she is going to be waiting a LONG time at the finish line for her mama. 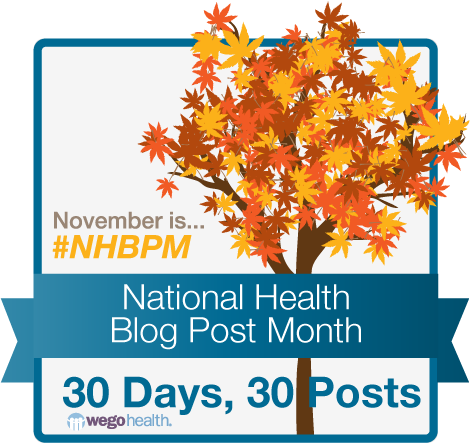 Once more: this post is #5 in a series for National Health Blog Post Month. Check out these other fantastic bloggers! Merri wrote about what’s in her bag! I remember when my daughter had shingles when she was 8 (yes only 8 years old). The dermatologist said it wasn’t the youngest case he had seen, but it was close. The sores had already started to show, so we had to wait it out. We had a special cream to rub on it to help but the thing that helped the most was vinegar soaks. She smelled like a pickle for a week, but we would have done anything to help her out. Congratulations on avoiding the rash! I got shingles in my early 30’s – I was completely blindsided! I felt like you – this is something older people get! The pain was unbearable. I did get a very small rash, I was lucky as well. I will never forget it! Great post! Thanks for the shout out! 🙂 i’m glad you didn’t get the full shingles. My nana had it probably about 10 yrs ago and she was in such pain and couldn’t get out of bed. she was pretty sick.. i’m guilty of what you wrote about..i hate taking medicine and i will almost always wait things out to see if they get better before going to the doctor. but i do go eventually if i think something can be helped. usually. I had shingles at about age 55. Is that old? I was under big time stress. I thought it was poison oak and did nothing at first. But the deep pain it caused in my face–of all places–made me know it was more. My wife Griffin insisted I go to the doctor. I went to the ER since it was the weekend and it had gotten much worse (and it’s super ugly when it really erupts). I was informed it was shingles and that there was nothing that could be done, except wait it out. Griffin poured Una de Gato on it nightly, a sap from a tree in the Amazon, which dried it up pronto. I’m glad you were able to catch yours early. Truly, early action is key. Yeah, apparently if it shows up after the rash erupts, there is not much that can be done other than lotion or oatmeal baths (like poison oak). But I was feeling it bubbling up under there and felt so lucky to have caught it before it ever erupted. NO 55 is not old!!!!!! !